Today, I am starting the third week of marathon training for Marathon du Medoc. This race is a bit low pressure as we will be sampling the wine of the region along the 26.2 mile route. But I want to work towards a marathon PB, so I need to committ to the process. I will be practicing drinking wine from Bordeaux at my local wine bar too, don't worry! One of the most popular things runners talk about is what to eat when running. As spring marathon season is out in full force, I thought I wouls share a few things that I have tried. Leave a comment below if you have any other suggestions. When Powerbar first came out back in the day, I remember my dad getting them for windsurfing. They didn't taste that great back then and were really hard to chew. The first time I tried Gatorade at school, I got an upset stomach during a football (soccer) game. 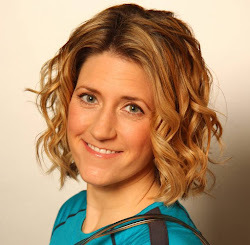 Over the years, my race distances started to increase and I was a little weary about all the latest and greatest stuff I would need to try for a full marathon. Following a training plan, I usually have three to four months to figure out a fuelling strategy. It depends on what I anticipate the weather to be like during training and on the day of the race. I also take into account what drinks and food (if any) will be available on the course. My stomach is vey sensitive, so I am always looking for something easy to digest. Energy Bits were the first thing I tried. I was completing my 2nd attempt at Whole30 and searching for a product that met the rules. 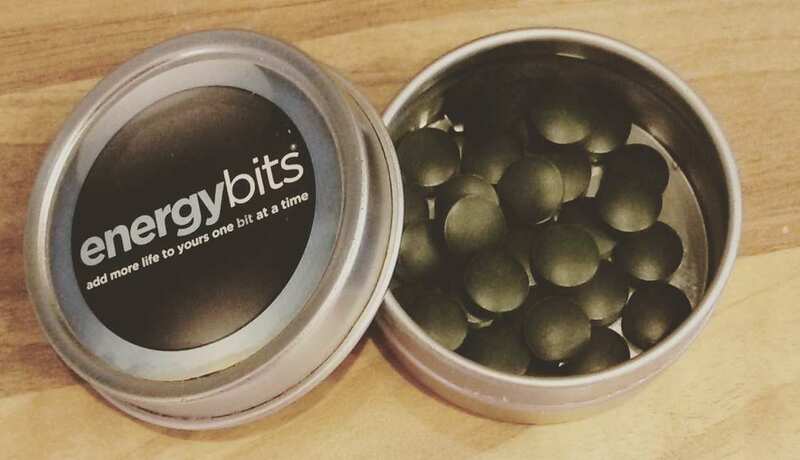 These 'bits' are 100% spirulina algae and are vegan, paleo, caffeine-free, soy-free and gluten-free. Spirulina is the richest source of protein in the world at 64%, and rich in vitamins, minerals, and electrolytes too. You swallow 30 before or during physical activity, and away you go! I definitely notice my energy feels a bit off when I don’t take them before my longer runs. As they only contain the algae, my stomach doesn’t have any problem digesting them on short or long runs. I will take them before a fasted run to make sure I don't bonk. Over the last 3 years, I have stuck with nuun and Lucozade Sport Lite for electrolyte replacement. Nuun is so simple to transport because you just need water and a tablet. There are many different flavours and some even provide caffeine. 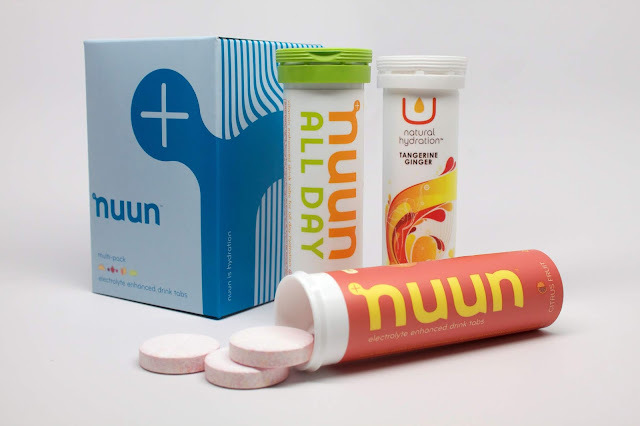 Unforuntaltely, nuun isn't easily available in the UK anymore which is a bummer. Gatorade doesn’t bother my stomach any more but also isn’t available in the UK as it is an American product. Luckily, we are able to get Lucozade from our home delivery grocery service. I dilute the Lucozade Lite drink because it is a bit syrupy for me. For a gel, I was looking for something that wasn't too sugary or heavy. My Protein had an amazing Blackcurrent gel that was mostly water so it was more like drinking juice rather than goo (note it is still sticky if it gets on your hands). It also was available with caffeine as an ingrediant, which has been shown to improve athletic performance (new post with more info coming soon!) and added electrolytes to keep you hydrated. My Protein stopped making my gel but have a similar Blackcurrent option that tastes a little different. I need to try it a few more times on runs over 60 minutes to see if I can cope. Gummy snacks, such as Haribos vs Clif Shot Bloks. Who can say which is better? I compared the nutritional values and the difference was negliable. Cliff Shot Bloks do have caffeine which is an added bonus and they are much easier to chew as you are breathing hard and your nose is stuffed up. However, they are also many times the price and a bit harder to find than Haribos when prepping last minute for a race. Both provide a shot of energy (sugar!) to your body quick, which is what you are really after. Tailwind Nutrition is another easy way to get carbs quick. It is a powder you add to your water, providing you with electrolytes and energy. My friends use it for 100 mile races and don't eat any solid food during those events. They just use Tailwind. I have used it too and haven't had any tummy issues. Real food is something I don't have much room for in my bum bag or hydration pack. I prefer flapjacks, fig rolls, or nuts with raisins as these are all salty and available in most small shops (always carry cash for fueling emergencies). If bananas didn't get schmooshed so easily, I would probably carry those too. 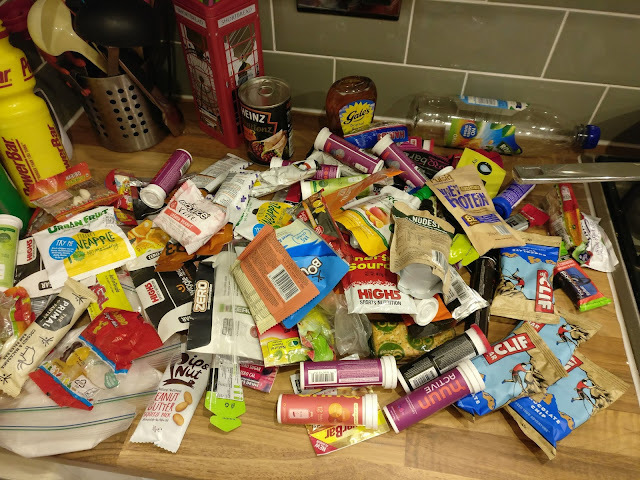 A few of my friends either make their own baby food or use Ella's Kitchen pouches, Try out a few different types of food on your long runs and see what your body tolerates. Carbohydrate loading is probably the best part of marathon training. Using Benjamin Rapoport’s endurance formula, I calculated that I needed 550g of carbs each day in the lead up to race day. Unfortunately, the calculator is no longer available online, but you can read the paper it was based on here. In the end I aimed for 500g/day for 7 days instead of 5. I ate a lot of pizza, porridge, and potatoes. Although carb-loading sounds like it will be fun, 500g of filling food is really hard to do on a daily basis. I was also avoiding fibrous foods (like salad) to decrease my chances of runner's tummy on race day which seemed weird because usually I go for a colourful plate at each meal. 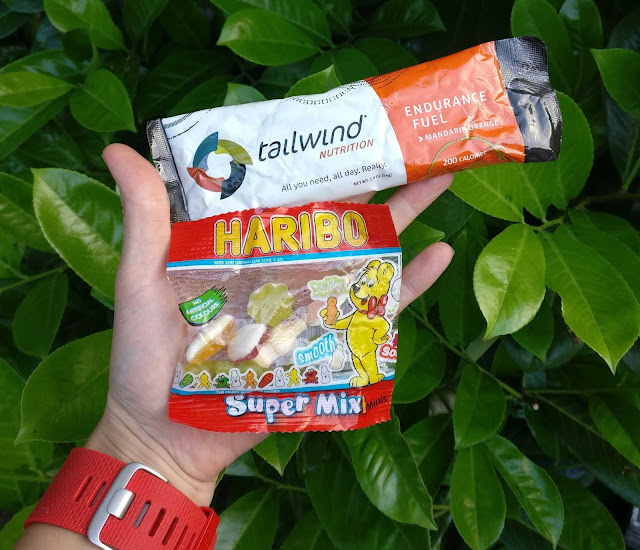 How did I fuel during my first marathon? • Carried 400ml water plus High 5 single tablets (husband used all the nuun!). 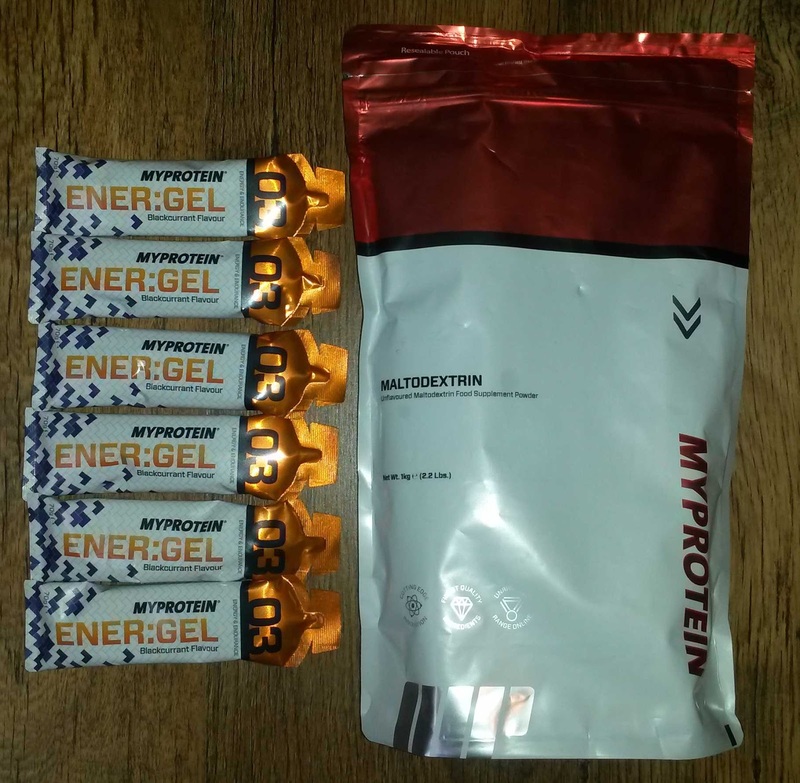 Used 1/2 tablet and took 2 electrolyte cups at fuelling stations along the way. Amazingly, I never hit a wall. The only thing that failed me where my hips as they were filled with pain miles 20+. 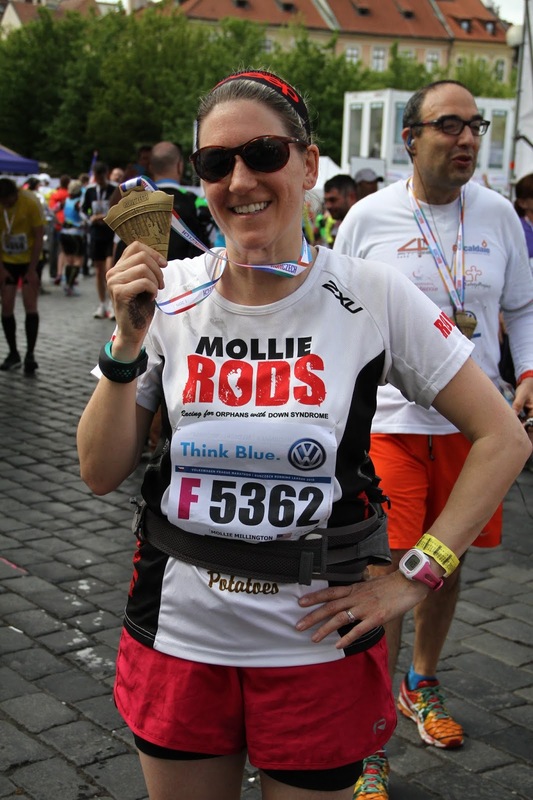 Eight marathons later, I now know how important strength training is, which is why I am working with Function360 to prepare my legs and hips for my next big race. You can get your bum in shape too with 15% off their services with code #F360MM15. If you have any fueling tips, I would love to hear them. Leave a comment below.